Treemendous.in is the largest Garden store chain of Bangalore (20+ stores) spread over 9 leading malls. We have provided green solutions to corporates like Linkedin, Embassy group corporate parks, Co-works coworking spaces, Hilton hotels, Royal Orchid etc., We also offer customised solutions for Balcony Gardens, Terrace Gardens, Vertical Gardens and Outdoor Landscaping. Treemendous.in will transform your existing space into your own little Garden. Building gardens like you dream it! XOG is a combination of nature lover, garden enthusiast, interior and product designer that is dedicated to help bring nature into the urbanite's life. We specialize in custom garden design and installations in urban spaces such as balconies, terraces and yards. Working on landscape/garden development projects is something I'm passionate about. Discussing and dreaming of the possibilities, deciding on one, detailing it and then getting hands-on with implementing it, is how I like to operate. Functionality, aesthetics, eco-friendliness and sustainability are the ideals I try to fulfill in a design. I also collaborate and hire help depending on the project requirement. MyCloudforest is an exclusive online marketplace for "Outdoor Living and Garden Space designing" for homeowners and businesses. 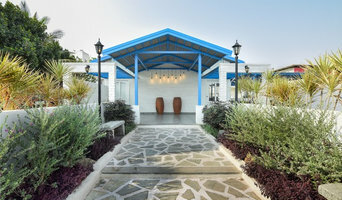 We specialize in designing aesthetic and easy-to-maintain gardens connecting indoors and outdoors. We can transform any space into a vibrant green space with a unique and sustainable combination of plants and various other innovative design elements. We also provide maintenance services for the space we designed to ensure they are fresh and green throughout the year. Back in the year 2013, Mr. Pavneet Singh, the Founder and CEO of LifeWall, came across the concept of Green Walls. The concept struck his entrepreneurial spirit, and gradually started to grow on him, so much so that finally he took it upon him to make this concept a well-known phenomenon on the Indian Architectural Scenario. It was during the time he spent in conducting extensive research in the field that he came to know of “BIOFELT”, a cutting-edge material for the vertical gardens which makes them fairly manageable and convenient! And thus was incepted LifeWall, a provider of complete landscaping solutions in the field of vertical gardens. Today, LifeWall not only avails institutional solutions, but also retail products to its customers all across India, through it’s online shopping portal as well as re-sellers. In Fact, LifeWall now also has its own manufacturing centers, wherein it manufactures modular vertical garden and many other innovative green products meant for retail sales. Anything to prevail there should be a reason. We are in this Green Life Business because we firmly believe, In order to have a happy and healthy life it is significant to live among other ecosystems. We fit our self as pioneer in offering a proven track record of creative and quality Green Concepts Such as, Landscape, Plantscape, Creation and Maintenance. Green walls and Green Roofs Creation and Maintenance. One of the Few Manufacturers of Customized Wooden planters. Integrated Pest management Solutions For both Residential and commercial Needs. It's time to take the garden up the elevator! MySunnyBalcony Pvt. 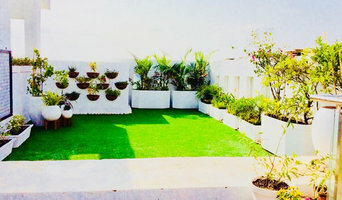 Ltd. is a Bangalore based Urban Gardening Company that specializes in custom-designed organic gardens for urban spaces. We've been in action since 2009, and have grown consistently over the years into a well established and respected presence in the gardening space. We work with local artisans and craftspeople to create contemporary garden products and accessories that are designed to keep the modern urban aesthetic in mind. We are committed to keeping the traditional handicraft skills of India alive, as well as to promote responsible, organic gardening practices across the country. 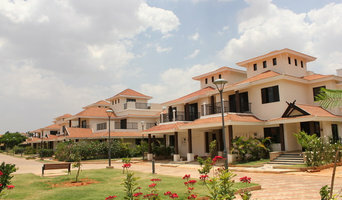 We have a large landscaping practice, several retail outlets in Bangalore and an online store that ships around India. We also do corporate gifts, workshops and community garden projects across the country. MSB is a group of garden enthusiasts dedicated to creating customized landscapes & products for urban environments. We are a professional garden design consultancy and development firm. We offer turnkey services to public, residential and commercial clients across India and outside India. It is our goal to provide a unified and balanced relationship between people and environment. We firmly believe that the solutions we provide should achieve a delicate balance between environmental sensitivity and economic viability. Green Essence is a Garden Concepts Store in Bangalore, India. The Key focus of the store is to provide gardening solutions for small gardens, balcony and terrace spaces. What does a landscape architect or landscape designer in Bangalore do? Landscape architects in Bangalore, who typically belong to the Indian association of Landscape Architects (ISOLA), are trained to develop comprehensive structural plans that include plants, hardscaping, water use, drainage and more. They can also design any structure that will be added to the landscape, such as gazebos, retaining walls and other garden features. Typically, the expertise of a Bangalore landscape architect can apply to understanding your space and natural environment. They work closely with architects and other contractors to develop your landscape or garden in accordance with the other plans. 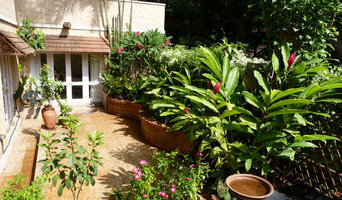 Landscape designers or garden designers in Bangalore specialise in aesthetics and horticulture. Keeping in mind both style and functionality, a landscape designer will analyze your architecture and garden to produce a plan that may or may not include location and materials for walkways, patios, water features, garden aspects and more. In addition, he will carefully assess your geographic region to choose plants, trees, and flowers that will flourish naturally, as well as address concerns such as drainage, screening and soil conditions. Certain landscape architects and designers in Bangalore only help with the planning portion, while some may deliver the plans and then oversee a hired landscape contractor. Others follow a design-build approach — take care of both the design and all aspects of the landscape architecture and construction. Why should I hire a landscape contractor in Bangalore? Don’t have a green thumb to main the lush and lovely grounds that will be the envy of all your neighbours. Hire a gardener or landscape contractor in Bangalore to create and maintain your garden. 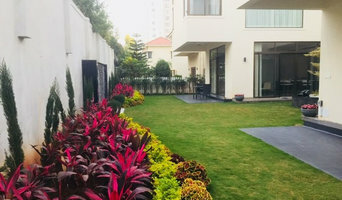 Landscape firms in Bangalore will be able to bring your outside space to life with flowers, plants, trees, shrubbery, lawns and all sorts of verdant, floral features. Landscaping companies in this category execute gardens that have been drawn up by a landscape designer or architect, while some can also provide design services of their own. Gardeners in Bangalore, on the other hand, will deal only with lawns, plants, trees and flowers. With a thorough understanding of horticulture and will be able to choose plants, garden edging and materials that will complement your home and thrive in the climate. A good Bangalore gardener will take care of weeds and pests, and perform other tasks such as pruning to keep your garden looking its best. Find landscape firms on Houzz. Narrow your search in the Find Pros section of the website to landscape contractors & architects. You may also look through photos of landscapes to find one you like, then contact the landscaping company in Bangalore who worked on it.